For Christmas we had apps all day instead of lunch/dinner. 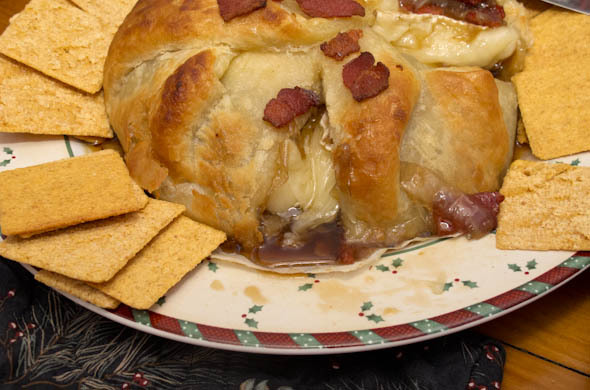 I made this baked brie in puff pastry with a maple, bacon, and caramelized onion topping. It was good, but a touch too sweet. Do as I say not, as I do! 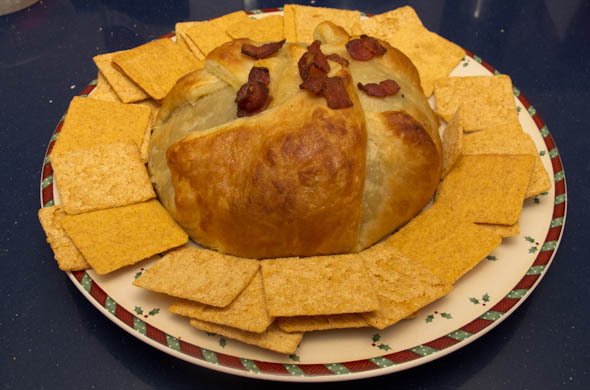 I love baked brie but it needs to be served hot, and had a chance to set for a few minutes…otherwise all the brie oozes and is gone in a second! Pan fry the bacon until crispy and let cool. 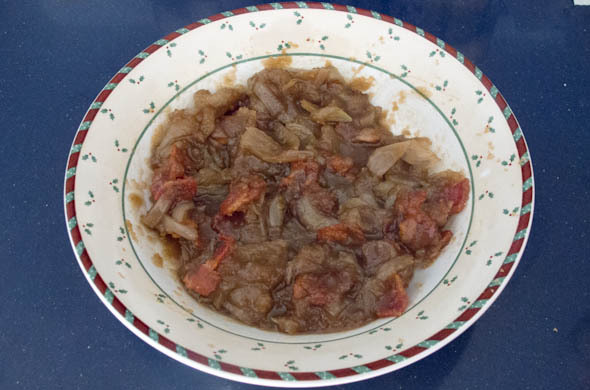 Mix up the onions, bacon, syrup, and brown sugar. 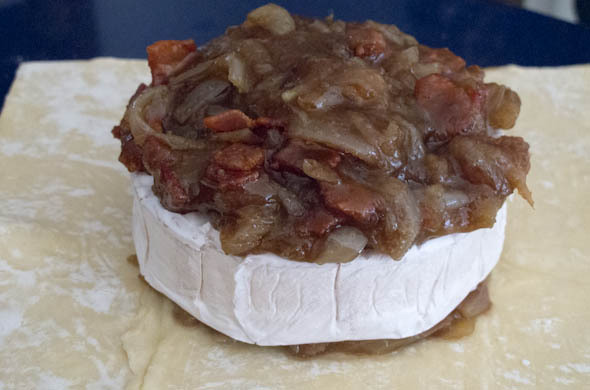 Unfold the puff pastry dough and put 1/3 of the filling in the middle, and put the brie on top. Spoon the rest of the filling on top of the brie. 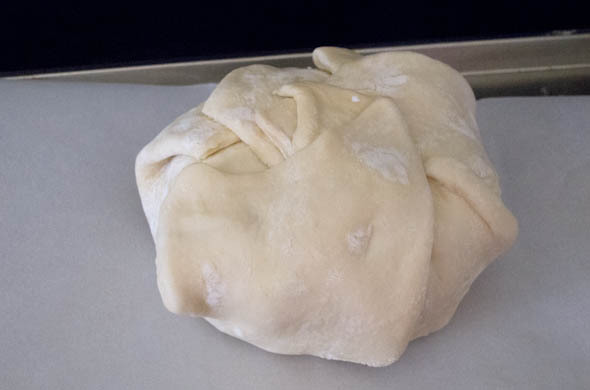 Fold a corner of the puff pastry over the top, and keep folding around in a circle getting to the end. 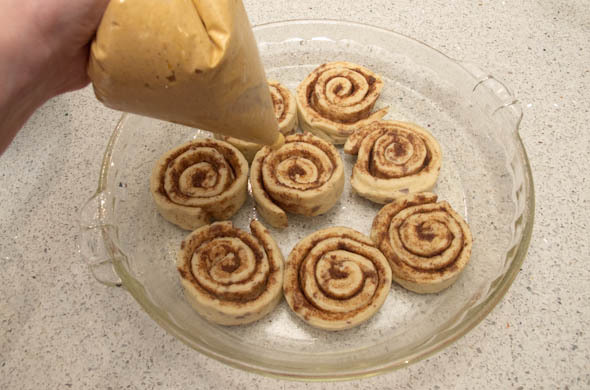 Put onto a sheet of parchment paper on a baking sheet. Brush with maple syrup (or eggwash). 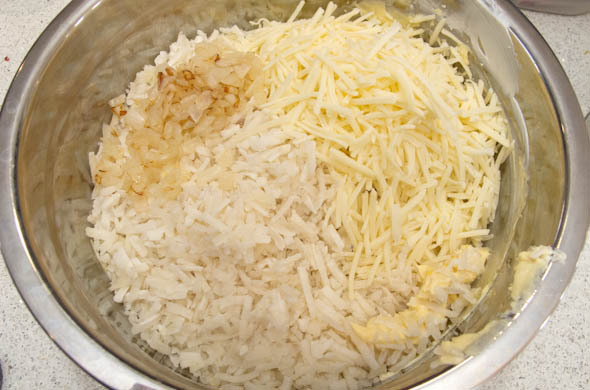 Bake 10-15 minutes until golden brown. 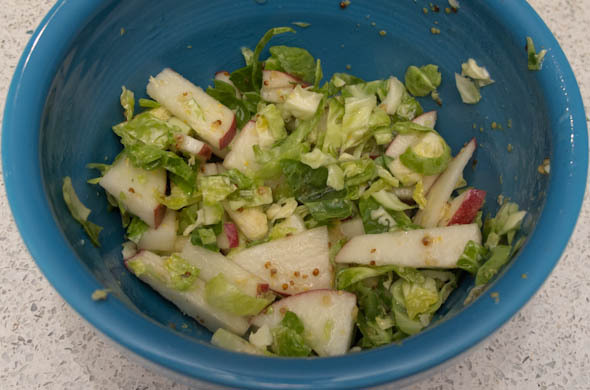 Serve with crackers to dip. I used a bit more brown sugar & syrup than I probably needed so I decreased it for the recipe above. 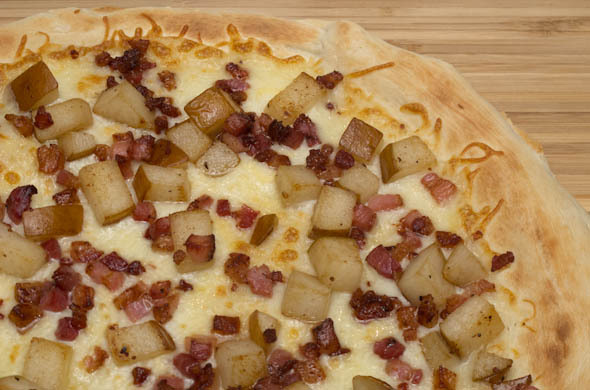 I like the oozy cheese with the bacon and the onions. Anything in puff pastry is a winner in my book! I’m obsessed with the “bowl” concept for dinners. Do not get me started about the smoothie bowls…those I do not get it. I was wanting falafel and thought making it as a bowl over a bed of couscous instead of as a salad would be fun and winter comforting instead of cool and summery. I looove this for a weeknight dinner or as a build your own! 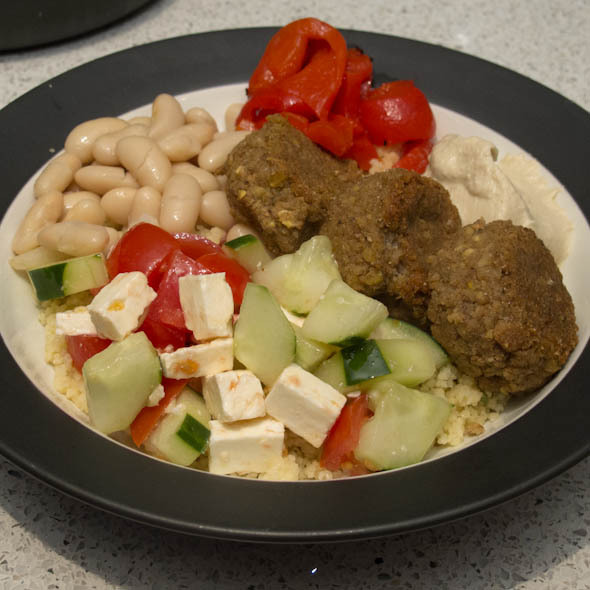 Make or heat your falafel and cook the couscous. Chop the cucumbers, tomatoes, feta and mix in a little Italian dressing. 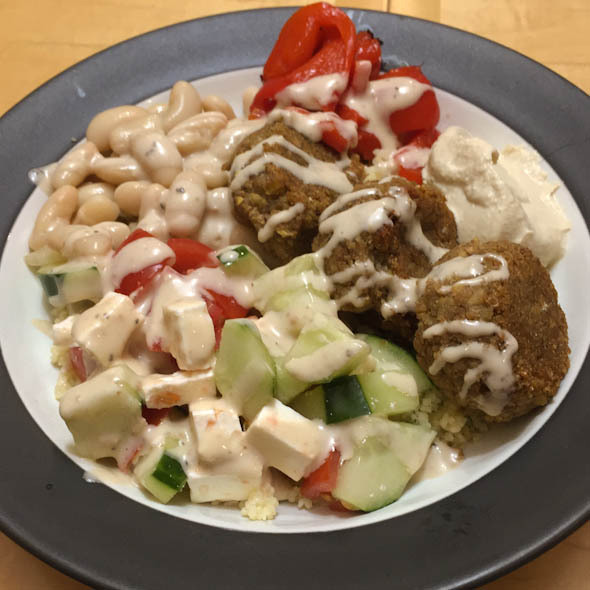 Spoon couscous into bowls and top with falafel, roasted red peppers, beans, hummus, and cuke/tomato/feta. 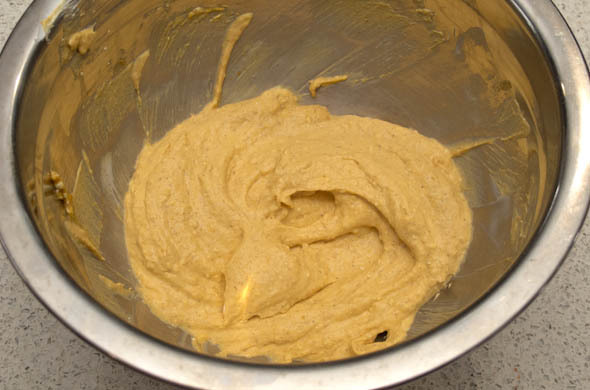 Drizzle with caesar dressing. Enjoy! I loved this for a bite of this with a bite of that. I’ll totally make these again. The dressing/sauce seemed necessary to bring it all together. A bite of this, and a different bite of that was so fun. 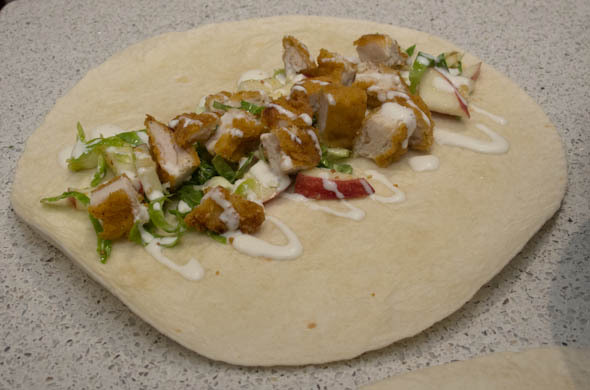 Falafel is also a great item to make in advance to speed it up! I’ll see you after Christmas! I’ll have some tasty treats to share…one celebration is cheese fondue I’m hosting, another is a day of appetizer grazing! 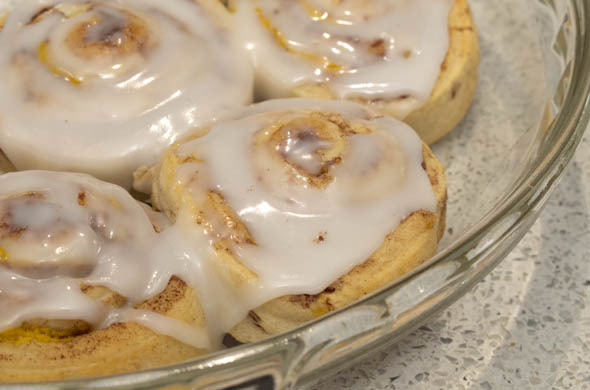 I’ll be prepping for the NYE celebrations with family for bfast/lunch/dinner/and treats! Stay tuned and follow along on insta! 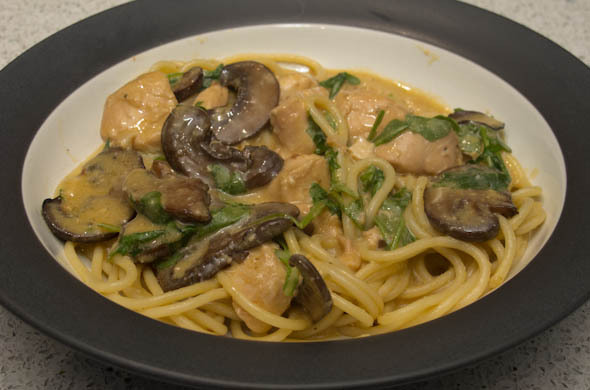 ‘Tis the season to totally need speedy dinners! This pasta dish involved so few ingredients. I often want leftovers for the little one, or for Mr. J to take for lunch, or for the night of the week that is “anything goes” on our menu- other times I know we just won’t get to it so I’d rather not have any left! Need a bigger serving? Add in another sausage and some more pasta. 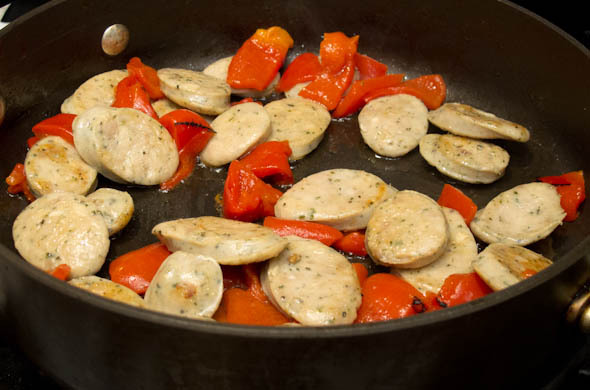 In a large skillet, pan fry the chicken sausages (either whole, or sliced) to golden brown (about 5 minutes, flipping. Most chicken sausages come fully cooked so check your packaging and cook through if using a raw product). Add in the roasted red peppers just to warm through. 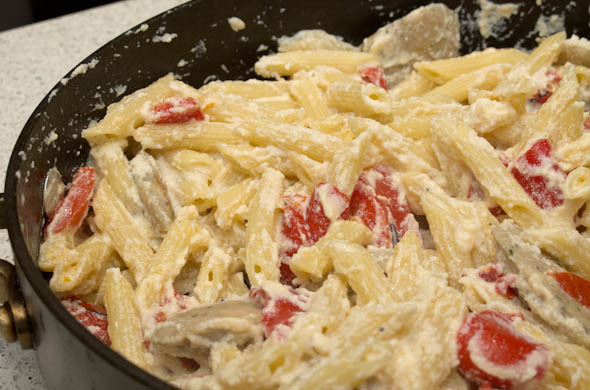 Drain the pasta when cooked al dente and add into the skillet or into a large bowl with the sausage and red peppers. 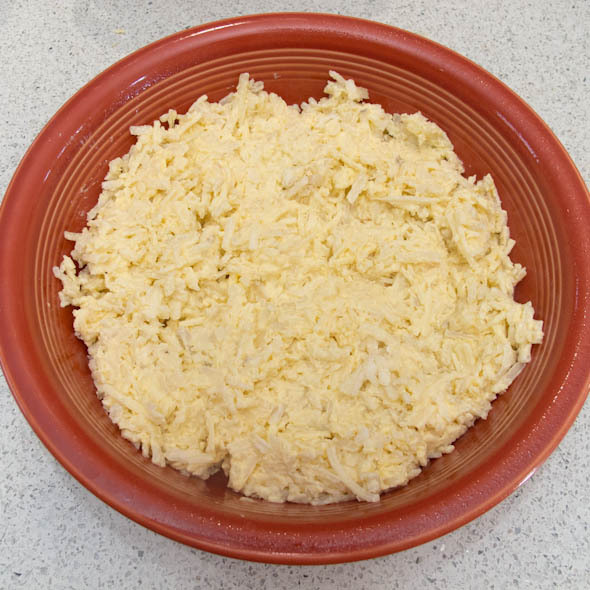 Stir in the ricotta until coated and warmed. I loved the ricotta serving as a cheesy sauce without many ingredients. There are tons of ways to customize this so have at it! 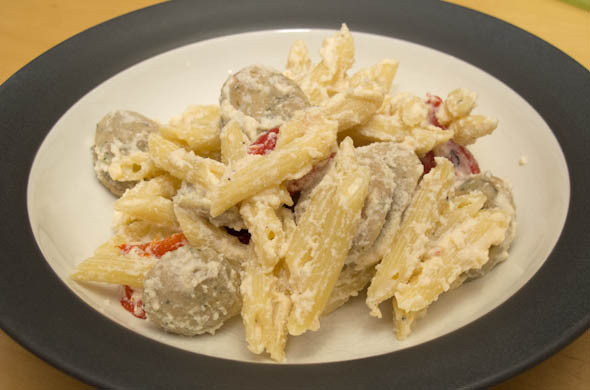 - chicken sausage and use roasted chicken or go meatless! 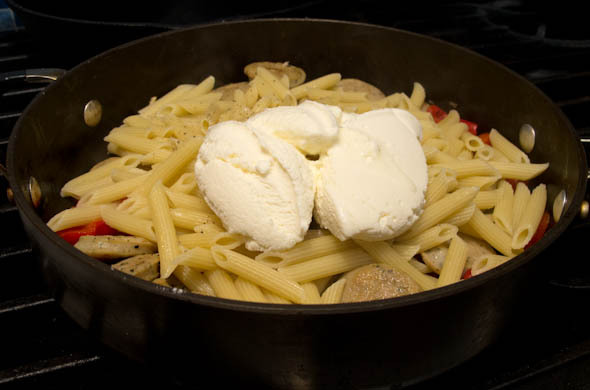 - cook in brown butter and serve with a dollop of ricotta instead of serving it mixed in! 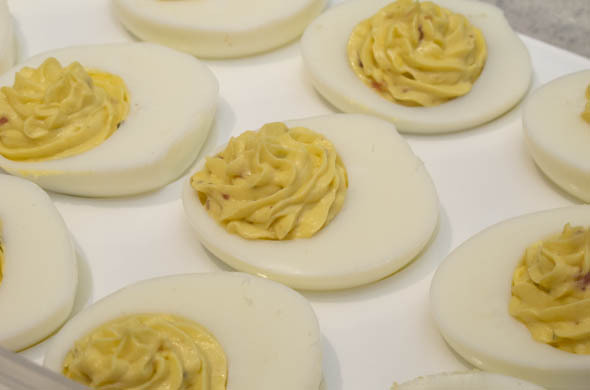 I’m discovering that the twists on deviled eggs is endless. 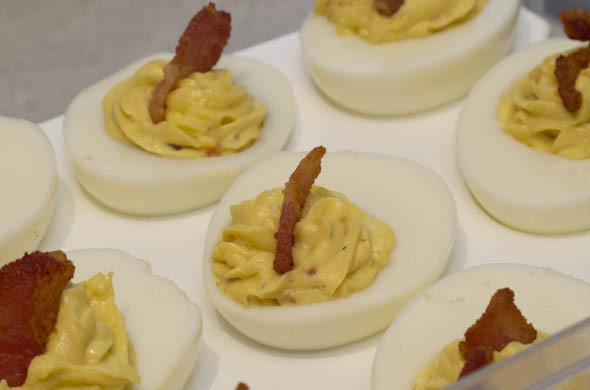 I whipped up these bacon ranch deviled eggs for an annual holiday party. The hostess has a revolving door of party-goers, kiddos, and snacks to no end. I thought it’d be best to bring a ready-to-eat treat. The app that needs no oven-reheating time is here! A little while ago, I made these Sour Cream & Onion Deviled Eggs another time I sought a snack to bring that wouldn’t need to be reheated. 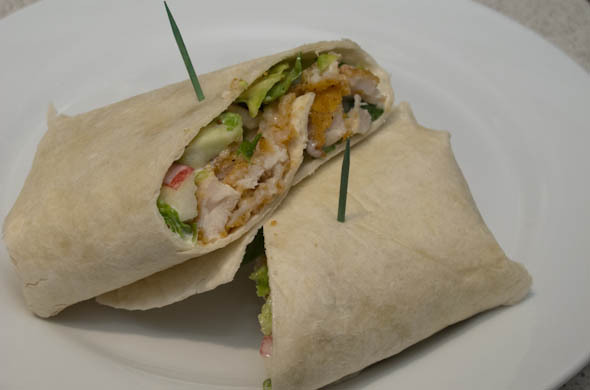 I had all the ingredients on hand which is even better annnnd you can prep ‘em in advance or in stages. 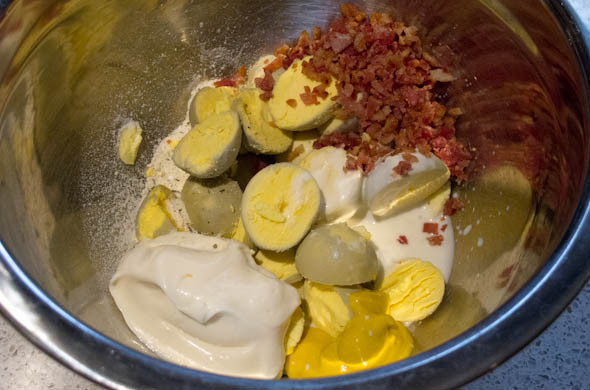 I boiled the eggs and later fried the bacon while mixing up the filling. I upped my game by acquiring a pastry tip from my mom. Boil water for the eggs. Then allow them to cool and peal them. Pan fry the bacon until crisp. Then remove and drain. Chop 24 bigger pieces for the topping. Finely dice the rest. Slice in half, carefully popping the yolks into a bowl. 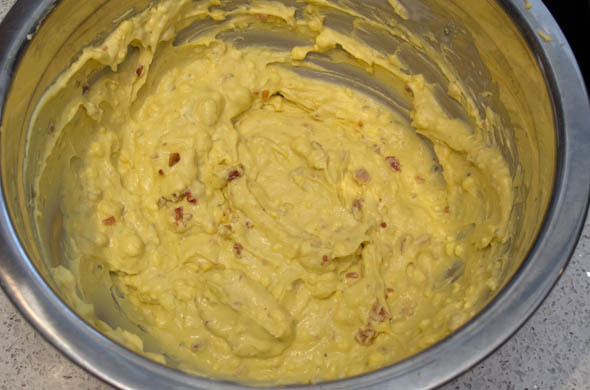 Then add in mayo, mustard, ranch, and ranch mix (don’t add in the bacon yet, like I did). 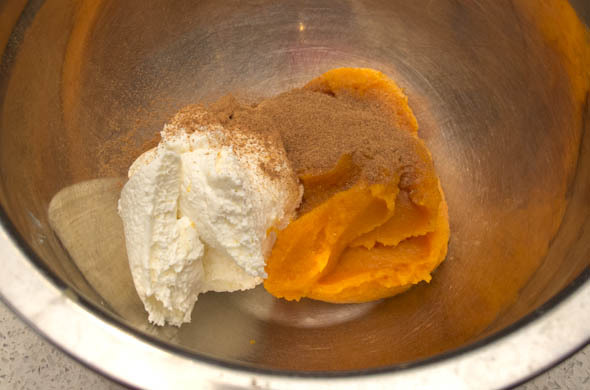 Using a hand mixer, or whisk, stir well until totally smooth. 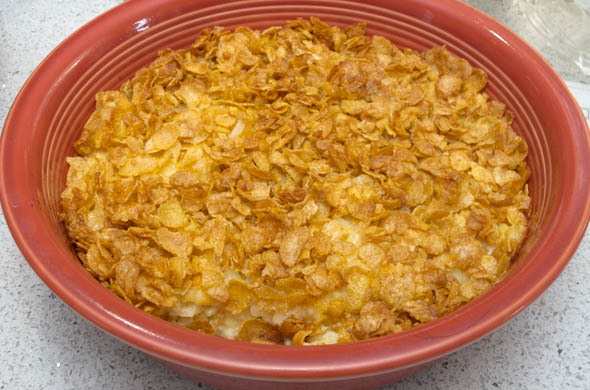 Then add in the bacon crumbles and mix to combine. Spoon into a ziplock bag, into a bottom corner. Snip off the tip and pipe into the egg white halves. Top with the bigger pieces of bacon you saved. I looooved these. They were gone surprisingly quickly at the party! I had quite a few people tell me they liked the bacon in there. 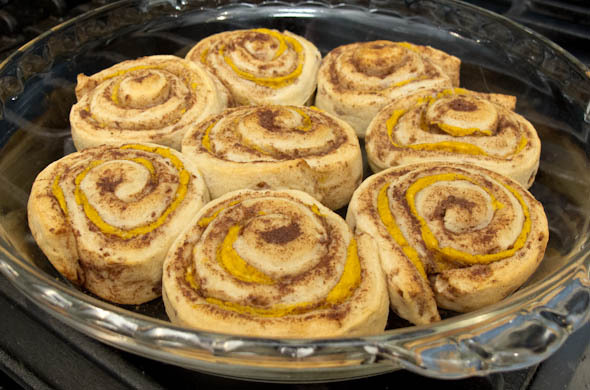 I’ll totally make these again. Though, I also have a few other variations in mind…stay tuned!